Hello, everyone! 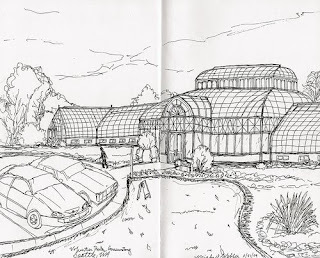 Sorry these are a little late, but here are my sketches from the November sketch crawl at Volunteer Park. I went back to Volunteer Park today to finish my water tower sketch. This was my first sketch crawl and I had a lot of fun! I'm looking forward to the next one! 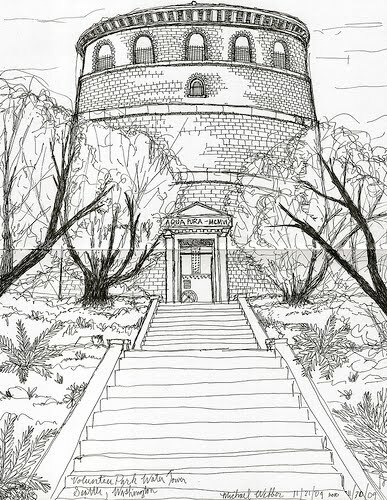 great to see your sketches here! love the steps approaching the tower, very effective vantage!